The first week of track and field produced several notable performances despite extreme weather conditions and the small slate of races. For one, the great Marcellus Moore traveled and competed in his first competition abroad in Iceland at the Reykjavik International Games. 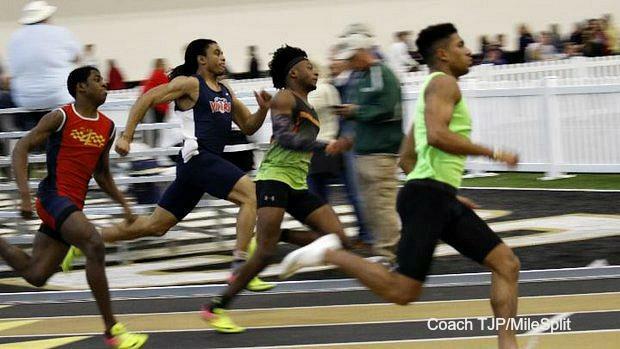 For his efforts, Moore hauled in another US#2 performance in the 60m clocking a personal best 6.71. The long-awaited return of some distance performances dropped in. Thomas Shilgalis and Bradley Brodsky cruised to victories in their respective events at the York boys quad and Jerry Lowe Invite. How about big Sam Liokumovich's massive shot put toss of 63-0.25? It puts him in the conversation now as a state title contender. The girls side of things was considerably lighter. Homewood-Flossmoor opened with Kaylah McCall in the hurdles and the 4x4 relay. Samantha Spencer clears 12-0 in the PV and that is a great sign of things to come. Kenli Nettles continues her all-purpose work.